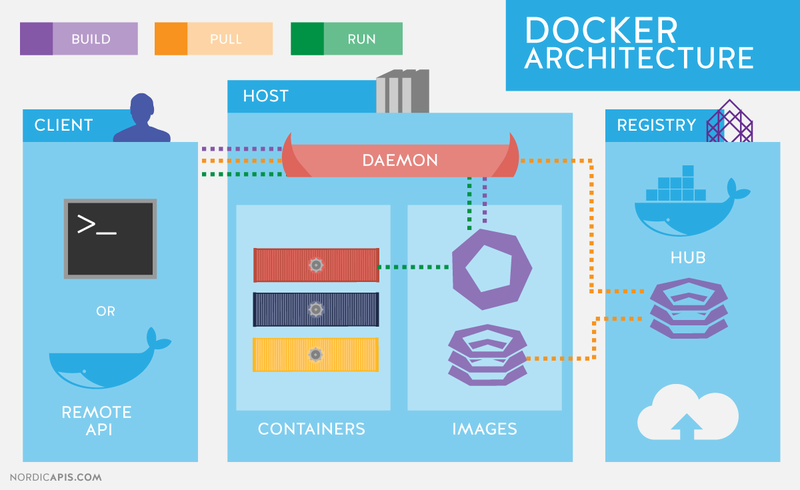 Docker is a tool designed to make it easier to create, deploy, and run applications by using containers. Containers allow a developer to package up an application with all of the parts it needs, such as libraries and other dependencies, and ship it all out as one package. Here is an image that represent the Docker “stack” technology. So, that means you can put all the necessary technology into a container, at least you should, and why you should? Because that’s on the “pillars” of containerization. Okay, but how it works? Docker is nothing new in terms of containers, but the opposite, containers exists since the first release on August/2008, but before that (Kernel 2.6.27) LXC exists and it was full functional at Kernel 2.6.29. Okay, but we are talking about Docker, not LXC. LXC is about “what resources you want to isolate”, so let’s take a look how we can isolate the SSHD service - http://lxc.sourceforge.net/man/lxc.html. Docker until version 0.9 has been used LXC as default driver to communicate with API Kernel, but since them, it is been using libcontainer, a pure Go library which was developed to access the Kernel’s container APIs directly, without any other dependencies. So, LXC is a Kernel “component/module/technology” that allow us to creat a virtual environment closed and limited. As LXC executes that process isolated, an “abstraction”, that process when need to runs again in other machine with LXC support, the process will be executed normally and behaving as same way as originally.